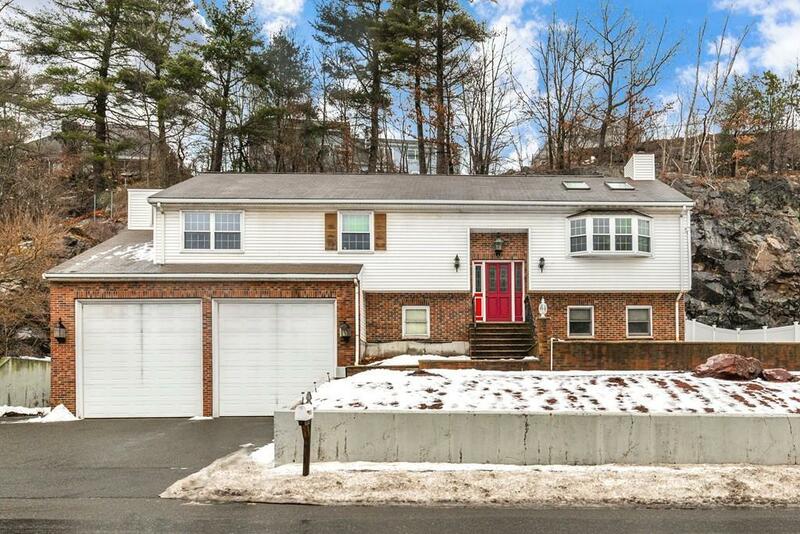 Generously sized split-level home conveniently located near area amenities. Open concept floor plan in main living space with combined kitchen, dining and living area. Living space offers cathedral ceilings with marble fireplace and access to expansive deck to private yard. Master bedroom suite on the main level with hardwood floors, walk-in closet, dressing room with mirrored vanity and master bath with Jacuzzi tub. Lower level offers family entertaining space with recessed lighting, bonus rooms, full bathroom with shower stall and laundry. Paved driveway with spacious 2 car attached garage with high ceilings and abundant storage space. This is a must see!